*European release. Contains 1 bonus track & 15 tracks total. 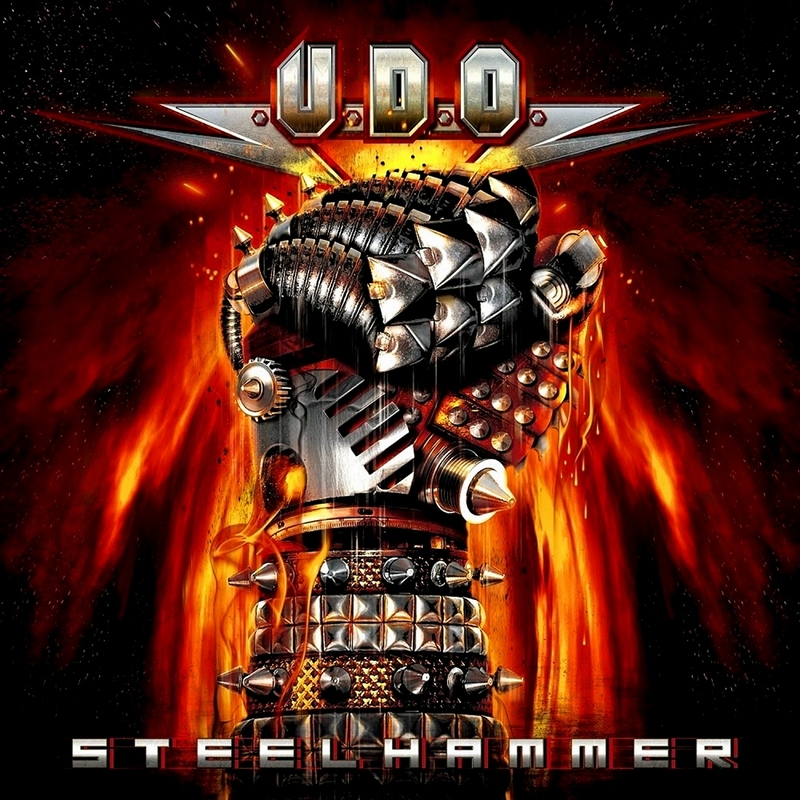 It has been more than a quarter century since Udo Dirkschneider walked away from Accept and formed his namesake band, U.D.O. In that span he and his band have made some pretty impressive albums, with a few so-so efforts in the mix. This month the mighty Teutonic vocalist and a revamped line-up return with their 14th studio effort, “Steelhammer”. 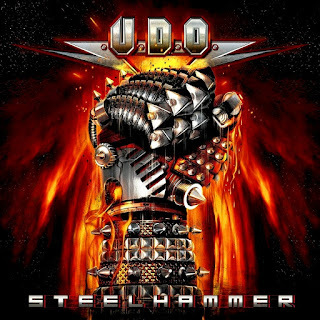 The album is easily U.D.O.’s most impressive effort in recent memory, putting a fresh face on the band’s classic style. “Steelhammer” is 14 tracks deep, and there really isn’t anything that one might consider filler. So the band has certainly made the investment of time and money worthwhile. The album’s cover art is classic metal and for some reason reminds me of Judas Priest’s “Defenders of the Faith”. In 2012, the band’s longtime guitarist Stefan Kaufman stepped down for health reasons. He has also been Dirkschneider’s writing partner and the band’s producer. To add to the loss fellow guitarist Igor Gianola who had more than a decade in the band stepped down as well. Finding new guitarists was an exhaustive process but he found two virtuosos in the form of former Amberian Dawn guitarist Kasperi Heikkinen and Russian multi-instrumentalist Andrey Smirnov (Everlost). Writing the album proved much easier than Udo might have imagined. The stocky singer needed only to look stage-left at his bass player of 16 years to discover a new songwriting partner. Fitty Weinhold has been with U.D.O. since the band’s fifth studio album, “Solid”. Ironically the same album which saw Kaufman initially joined the band. Yet another Microsoft Technical Support Scam has been found. You can view Sentinel's report by following this link or by accessing the "Feed The Fish" tab on our website's main menu.